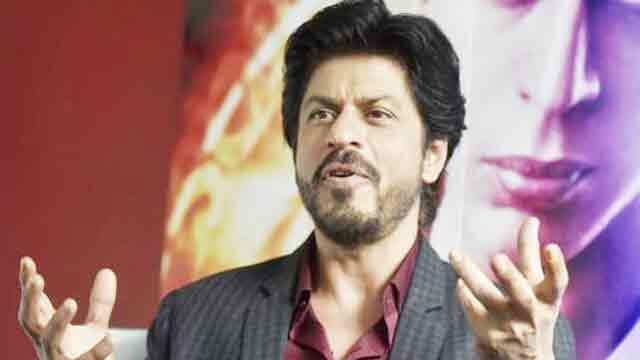 Dhaka, Dec 27 (Just News): India's Bollywood star Shah Rukh Khan says he loves winning awards as nothing can replace the excitement of holding a trophy. Asked about after winning so many awards, if it still holds the same relevance in his life as a superstar, he said: "Yes! I love winning awards. It is not a point to prove that I have done some great body of work and therefore winning the award is a validation to that. I love awards because I love winning!" Shahrukh, here at an event on Tuesday to announce the date of the 63rd Filmfare Awards along with Filmfare magazine editor Jitesh Pillai, said: "When I was a kid, I used to take part in 100 metres run, soccer match, hockey matches etc back then, training and participating in games was exciting for me. But there is something very special one feels standing on the podium, holding the winning trophy! Nothing can replace that feeling. "It is not a secret that I even take part in parents' sports day and win. You know I train for that, to win the race. Yes, now with AbRam, things have changed a bit because now I am 50, and other parents are 25 or of that age bracket. But I still participate because I want to win!" Asked if he can recall winning his first award, Shah Rukh said: "I always said this that I want to make a movie that should be so big, not only by canvas, not emotionally and with its engagement that even my mom-dad would be able to see that from heaven. "I know it may sound childish but I had a genuine feeling that the day I won my first-ever award, my parents saw me from heaven." Asked if, like megastar Amitabh Bachchan, he also feel nervous before performing, Shah Rukh said that such tension before a big show is a sign of a good artist. "Amit ji is a great actor. I think it happens to everyone that whenever we face a live audience, we feel the nervous energy and that keeps us going. For us, Amitabh Bachchan is a great actor but as an actor, even he wants to push himself to deliver something different every time he faces the audience. So the nervous energy he talks about is only a sign of how great actor he is." Hosted by Shah Rukh Khan, the 63rd Filmfare Award 2018 will be held on 20 January.